Ella Gatlin is a junior at James Hubert Blake High School and is a member of the Young Artists of America program. 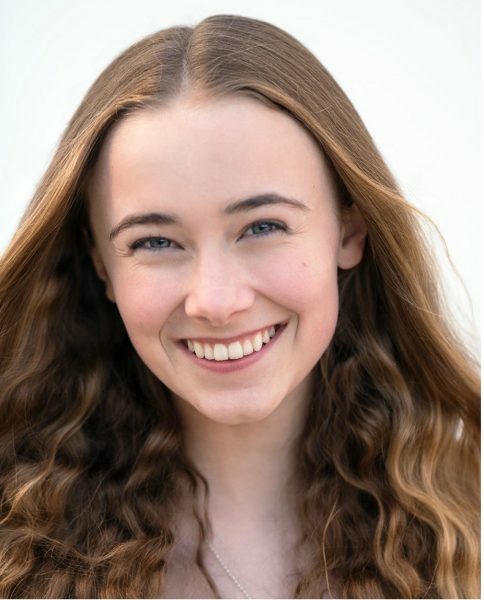 She recently portrayed Cosette in their Spring musical, “Les Miserables.” We caught up with her to ask her a few questions about the program and her love of performance. How did you first become connected with Young Artists of America? Last year YAA put on Ragtime and my high school, James Hubert Blake HS, was chosen as one of the student choruses. We mostly prepared our music in class, but after only a few rehearsals with YAA, I knew I needed to be a part of the program as soon as possible. They were all so talented and dedicated to what they were doing. So, I auditioned for Les Mis. What a way to start! It’s funny because I idolized the YAA kids during Ragtime, and I still do, but now I get to call them my friends! What about the character of Cosette do you most connect with? Something I discovered during the rehearsal process is that Cosette is very curious. She wants to know about herself, her father, and the world around her, she just doesn’t know how to get the answers yet. She even talks about ‘the world that she longs to see’. About once a week I get the urge to pick up and move to a foreign country, but my mom usually doesn’t approve. I definitely want to spend a summer or two abroad in college — hopefully somewhere in Europe! What has been the part you’ve most enjoyed doing so far? Honestly, getting to play Cosette has been my favorite theater experience so far. I have probably been listening to the Les Mis soundtrack since I was in the womb, but this was my first time actually doing the show. When I was little and my family would listen to the soundtrack in the car, I made sure everyone knew that I was the only one who got to sing Cosette’s parts. In all seriousness though, being able to actually put the show on its feet and dive into the nuances of the character has made Cosette’s story all the more meaningful to me. At the moment I’m really into the role of Clara from The Light in the Piazza. I love how complicated the music from that show is as well as how atypical the character is. I’d also love to play Glinda in Wicked at some point. Aside from the roles I could feasibly play, I wish I could play Mrs. Lovett in Sweeney Todd, but alas she isn’t exactly my type! What do you hope to pursue in the future? I plan on going to college for musical theater. I have known that it is an extremely risky and competitive field since I did my very first show. However, about a year and a half ago I decided that I was going to pursue it despite the risks because I know that I have to give what I love a shot. People in the business always say that if you can picture yourself doing anything other than theater, that you should do that other thing. Theater has been my “thing” since I was 9 years old and at this point, I do not know what I would do without it.